Mike Volpi, a former Cisco and Joost executive turned venture capitalist, is under fire for his role in the spinoff of Skype from eBay. 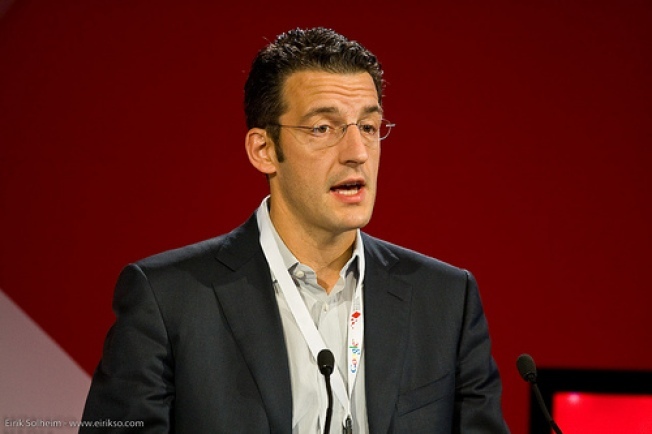 Mike Volpi was one of the hottest executives in Silicon Valley when he left Cisco to join Joost, an online-video startup, in 2007. Now he's back in the Silicon Valley spotlight, getting sued by Joost's founders. Volpi now works at Index Ventures, a European venture-capital firm with strong Valley ties -- ties that came in handy when Index joined Silicon Valley investment firms Silver Lake Partners and Andreessen Horowitz to strike a deal to buy Skype, the Internet phone service, from eBay for $2.1 billion last month. What do Joost and Skype have in common, besides the funny name? Both were founded by entrepreneurs Janus Friis and Niklas Zennström -- and both use bandwidth-sparing "peer-to-peer" technology licensed from Joltid, another company started by Friis and Zennström, to send digital content, whether phone calls or videos, more efficiently. And both are in litigation against parties to the eBay-Skype deal. What else do they have in common? Volpi served on Skype's board before it was bought by eBay -- and Joost's board, until very recently. When Volpi left Joost to join Index, the departure seemed friendly, with Friis and Zennström keeping him on as chairman. But the pair reportedly hoped to buy Skype back from eBay. And shortly after the sale announcement, Joost said it was removing Volpi as chairman and investigating his actions as CEO. Any surprise that this less-than-partial investigation turned something up? Joost now claims Volpi helped steal technology that Skype is developing to bypass Joltid's copyrighted software. (It is true that under Volpi, Joost engineers found a way to modify Joltid technology to run on the Web rather than through desktop software.) Joltid, meanwhile, is suing eBay and Skype over that same technology, saying that the auction giant is racking up $75 million in supposed damages every day. You'll hear a lot about copyright law and contracts and licenses. But what this is really about is a big barrel of sour grapes, with two entrepreneurs who sold Skype but never really accepted that they'd given up their technological baby. One person who's not getting sued, as of yet: Former eBay CEO Meg Whitman, who bought Skype for $2.6 billion in a deal that everyone now acknowledges was badly overpriced. How on earth did she persuade shareholders to pay that much to buy a company without the core technology it depended on? Whitman is now running for governor of California. Her opponents in that race should ask voters if she'll be as effective in governing the state as she was in negotiating with Friis and Zennström. And Volpi? He's no doubt sorry he ever left Cisco.